Buyapowa’s experience in beauty sector is unparalleled, having worked with brands and retailers including L’Oréal, Feelunique, L’Occitane, Space NK and many more. 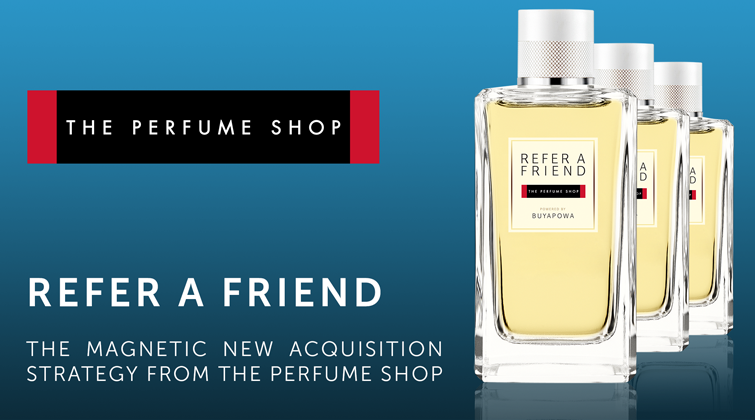 And, thanks to our ability to integrate with clients’ loyalty schemes, plus our omnichannel referral tracking features, we’re uniquely placed to deliver a programme that not only gets The Perfume Shop’s most passionate customers sharing, it also gets their friends shopping – whether that’s online, on mobile or in any one of The Perfume Shop’s 250 stores. Stay tuned for more information about this exciting launch. In the meantime, if you’d like to know more about the Buyapowa platform and how beauty brands and retailers are using it to acquire unprecedented numbers of new customers, just get in touch.